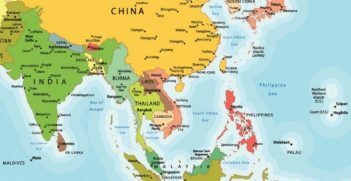 Asia has made much progress with its regional health cooperation but it still faces many challenges. The expanding regional and global health agenda should compel ASEAN to work towards a more comprehensive human security approach to health. The role of regional organisations in dealing with global health challenges cannot be understated. Against current and emerging health threats, strong and effective regional collaboration in health security provides a critical pillar in advancing global health governance, allowing for significant interventions in building health systems capacity at national and regional level, improving disease surveillance and response, and strengthening international efforts in responding to a wide spectrum of global health challenges. While regional health cooperation in Asia has come a long way since the 2003 Severe Acute Respiratory Syndrome (SARS) crisis and the establishments of regional frameworks in East Asia in fighting pandemics and infectious diseases, more can certainly be done to improve collective efforts to deal with emerging health issues such as climate-related diseases and antimicrobial resistance (AMR), as well as rising incidence of non-communicable diseases (NCD)s. The expanding regional and global health agenda should compel the Association of Southeast Asian Nations (ASEAN) to work towards a more comprehensive human security approach to health – one that does not prioritise pandemics over other health threats, while continuing to strengthen public health systems. How health is framed is very relevant in understanding the ASEAN story of regional health governance. At the outset, while ASEAN declarations on regional health governance reflect a plurality of frames being used to promote regional cooperation in health, where ASEAN was successful in generating collective response was when the framing of national security was deployed. Historically, ASEAN was formed to enhance economic cooperation and promote peace and security in the region. It was not until the early 1980s when health cooperation featured in ASEAN’s agenda. But, for most of the period until early 2000, the agenda of health cooperation was focused mainly on identifying areas of common interest such as access to health care, promotion of healthy lifestyles, improving capacity to control communicable disease and ensuring a drug-free ASEAN. But even then, there were no visible efforts to put health as an agenda for regional governance. It was not until the outbreak of the SARS influenza in 2003 when ASEAN began to proactively institutionalise some form of regional framework to manage health issues. The region’s experience has shown that viruses do not recognise any borders. And, as peoples’ mobility is increasing in leaps and bounds, so too are the rising risks of transmission of communicable disease within and across borders. The SARS crisis, therefore, underscored the need for more vigilance and surveillance of disease outbreaks among ASEAN countries. More importantly, the crisis stressed the importance of instituting deeper regional cooperation – not only among health officials but also across different sectors and agencies of governments to combat the spread of infectious diseases. Over the last few years, a shift can be noted from the preoccupation on pandemic preparedness to a much broader approach to regional health governance. As reflected in its post-2015 ASEAN Health Development Agenda, more efforts are now being put to promote a more holistic approach to health security. ASEAN’s 2016–2020 health agenda incorporates the elements highlighted in the global Sustainable Development Goals (SDG) more broadly, and in particular SDG goal 3 which is on good health and well-being. The health priorities outlined in its regional health cooperation agenda are clustered into four areas: (1) promoting healthy lifestyle, including prevention and control of NCDs, (2) responding to all hazards and emerging threats, (3) strengthening health system and access to health care and (4) ensuring food safety which includes access to safe food, safe drinking water and sanitation. With the changing patterns of infectious diseases and burden of diseases, ASEAN’s cluster approach presents a more comprehensive agenda aimed at translating these areas of cooperation into actionable programmes and policies in order to address multiple threats to health security. While ASEAN’s evolving frameworks in regional health governance started out with a strong focus on security, particularly fighting pandemics and other infectious diseases, the more recent frameworks reveal a more expanded framing, using a plurality of frames to now include human rights, equity, protection, social welfare and justice. The goal of institutionalising universal access to healthcare (UHC) and addressing NCDs are indeed important given that despite the rapid economic growth that ASEAN countries enjoy, there remain wide economic disparities among ASEAN countries and within its own population that significantly impact on people’s health security. The institutionalisation of UHC is certainly considered as a means to reduce the impact of income disparities across the populations in the region that seriously hinders their access to health care. 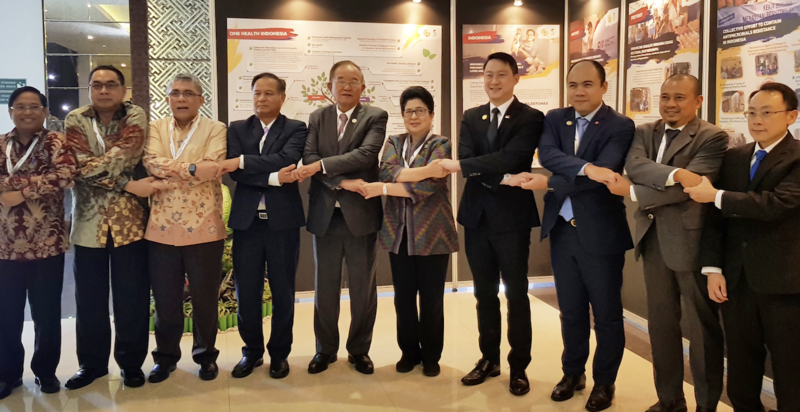 The notable emphasis on NCDs was seen during the 13th ASEAN Health Ministers Meeting held in September 2017, where ASEAN health ministers and heads of delegations reiterated the primary concern over the increasing cases of NCDs in Southeast Asia, particularly obesity and diabetes. Health officials called for the need to institute more interventions and promote best practices, while putting more effort in preventing risk factors and to promote health through the delivery of relevant health services. Some ASEAN countries such as Malaysia, Singapore and Brunei have already been reported to put a lot of effort in tackling NCDs. The introduction of ASEAN’s “culture of prevention’”approach to health security is a significant development, particularly if viewed from the perspective of the broader regional approach to security. Since the adoption of the notion of ASEAN Community in 2003, anchored on the three pillars of political and security community, economic community, and socio-cultural community, security has always been framed in a comprehensive manner. In a recent United Nations Framework Convention on Climate Change report, experts highlighted how climate change can exacerbate health problems that already pose a major burden to vulnerable populations – children, the elderly, pregnant women and the socially marginalised. According to the report, the socioeconomic costs of health problems for these vulnerable groups are considerable. It further noted heatwaves can severely impact working conditions, increasing the risk of cardiovascular, respiratory and renal diseases. Moreover, human displacement caused by climate and weather-related disasters are expected to increase significantly, which in turn results in higher socioeconomic costs and affects mental and physical health. With the visible impacts of climate change already felt in the region, this would make for more compelling reasons for ASEAN countries to reassess current health frameworks and put more effort in boosting the capacity of health systems in line with climate adaptation and mitigation strategies done in other sectors. The importance of having in place a robust health system in ASEAN countries becomes even more critical in the global fight against AMR. Given the complexity of the health threat and the interconnectedness between animal health, human health and agriculture, being able to achieve a more holistic, collaborative intersectoral approach requires a strong foundation of a country and the region’s public health systems. Based on available reports, progress on AMR preparedness in ASEAN is uneven with member countries reporting progress in different areas. More work has to be done to get the region to work collectively in order to scale up preparedness in dealing with complex health risks. To a large extent, the pace at which the region is moving towards addressing the AMR challenge reflect either lack of prioritisation at country-level and/or that the complexity of the issue requires new modes of national and regional collaboration which are relatively new to ASEAN practices. 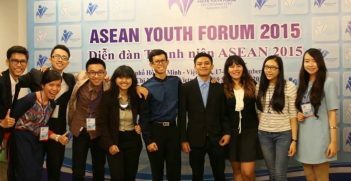 ASEAN has come a long way in developing its regional mechanisms to deal with health issues. Through its various regional health frameworks, ASEAN has been relatively successful in dealing with several cases of infectious diseases such as H5N1 and SARS. The shift from a largely security-focused approach to regional health governance to one that includes development and human security concerns of equity, protection and justice reflects ASEAN’s recognition that regional health security is not only about preventing outbreaks and spread of infectious diseases but also about ensuring peoples’ well-being and safety. Moving forward, the immediate tasks to improve regional health governance is to be more proactive in mainstreaming climate change related issues in the agenda of health cooperation among ASEAN members. This requires greater efforts both at the national and regional level to strengthen public health systems. This means that at the ASEAN level, there should be more time and resources invested in helping build the capacity of public health systems of ASEAN countries that are in need of support. One could argue however that the tasks of building capacity and improving health systems should not only be limited to states. Given stretched resources and the multiple demands on state action, ASEAN must be able to tap on the resources of non-state actors and the private sector in order to provide quality health care and inclusive access to health provision. Professor Mely Caballero-Anthony teaches International Relations and is head of the Centre for Non-Traditional Security Studies at the S Rajaratnam School of International Studies, Nanyang Technological University, Singapore. This article is an extract from the Caballero-Anthony’s article in Volume 72, Issue 6 of the Australian Journal of International Affairs titled “Health and Human Security Challenges in Asia: New Agendas for Strengthening Regional Health Governance.” It is republished with permission. In South and Southeast Asia 15-24 year-olds make up around one fifth of the population. This presents an opportunity for cross-border cooperation including in higher learning, entrepreneurship and cultural linkages. 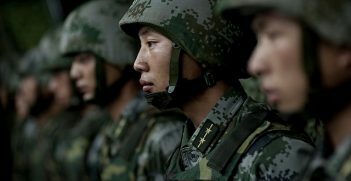 China aims to transform its military into a cutting-edge force capable of challenging American military supremacy in Asia by 2020. This has major implications for the security environment in Asia.